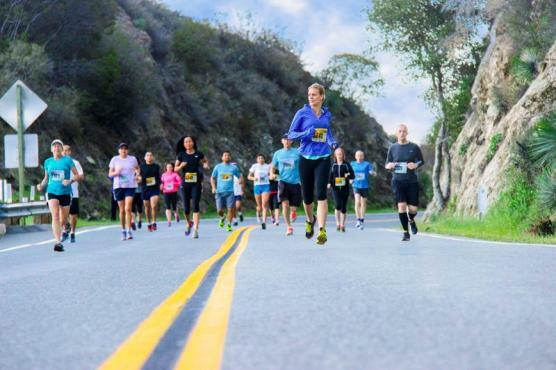 Your first half marathon will be unlike anyone else’s. The culmination of your struggles and your triumphs will be uniquely yours on race day. Some runners have an excellent first race and feel emotionally exuberant throughout each mile. Others experience disappointment and are anguished by physical and mental exhaustion. Most racers likely feel a combination of both and feel awash with emotion when they cross the finish line. There are things you will wish had and hadn’t done, but didn’t realize until you had a chance to experience racing your first half marathon. Many experienced runners have plenty of great tips for race day, but an overwhelming number stress the importance of not going out too fast. It is a common mistake that some will learn the hard way. However, if you trust in your training and have a plan on race day, it is possible to save plenty of energy for the final miles. Keep a watchful eye on your pace during the first few miles. It can be easy to go out too fast when you are well-rested from your taper and ready to run. The adrenaline will likely not last 13.1 miles. Race logistics can be a bit tricky, especially with larger races. Give yourself plenty of time to get to the starting line and then add another 30 minutes. Try to carpool if you are driving or at least have a family member or friend drop you off. Attempting to deal with the logistics of parking can be an unwanted stress on race day. If there is a shuttle bus offered by the race, take it! By giving yourself plenty of time to get to the starting line, you will ensure that you have plenty of time to stand in line for your turn to use a porta-potty. Many races have notoriously long lines to use the facilities. Nearly every runner will be making last ditch attempts to hydrate that morning only to discover that all the other people with numbers on their shirts had the same great idea. Plus, no one wants to stop while on the course if possible. Dave, a 5-time half marathoner from Michigan advises fellow racers, “Go to the bathroom at least twice.” There is nothing worse than having a great race, but being forced to wait in line at a porta-potty along the course. As for the race itself, it’s hard to describe the feeling of when it hits you that you are really racing your first half marathon. It is a proud moment that you will likely feel within the first mile or two. Hold onto that feeling because you will likely need a mental boost at some point during the race. Once you have settled into your pace, try to relax and enjoy the race. High-five bystanders, thank the race volunteers, and check out the spectators’ signs. Your training runs have prepared you for the first 10 to 12 miles and the excitement of completing your first half marathon will carry you to the finish line. I followed Hal Higdon’s novice plan to the letter and I felt good about my preparation to the point of finishing my first half marathon in 2:18. I couldn’t believe it but it works….that is, dedication to your plan. Since then I have run 5 more halves in 10 months. I’m 61 and still going strong with 2 more halves planned this year and a full marathon in October. Passion and determination are the keys to success.